BREATHTAKING VIEWS! 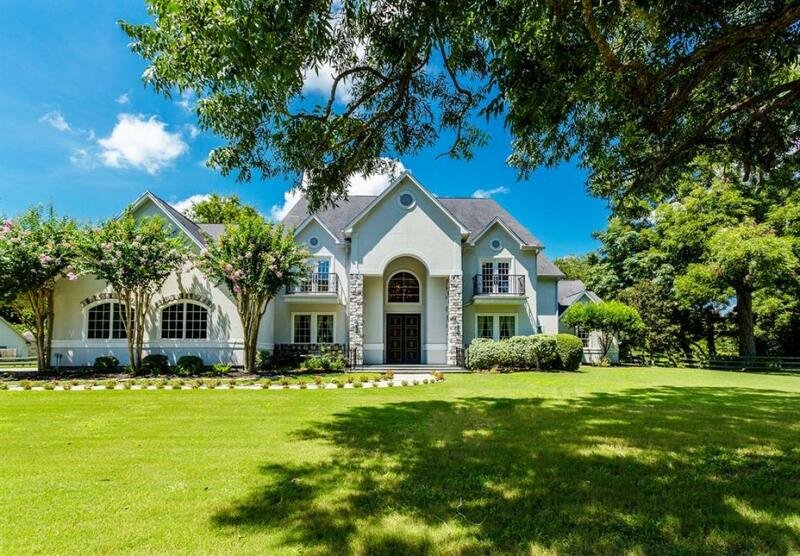 Nestled in amongst a forest of trees and backing to a stunning WATERFRONT, is where you will find this extraordinary stucco and stone 2-Story that is located on over 1.8 Acres. Built by one of Houston's premier Builders, it artfully blends a dramatic floor plan with old world craftsmanship and fine finishes. Canterra, double front doors open to dramatic Foyer with domed ceiling. Executive sized Study. Dining Room seats ten. 2-story Family Room with breathtaking views. Double ovens and built-in Refrigerator in Kitchen. Incredible Master Suite with Sitting Area, walls of glass and door-less Shower in Bath. Second Guest Bedroom down. 3-large Bedrooms and 2-Baths up. Home is designed for entertaining with enormous, covered Deck off Gameroom. Full-sized Media Room. Whole home sound system, water softener and BOAT DOCK with 2-boat ramps. LOW TAXES!